The MPX firing system has been rigorously designed and tested. 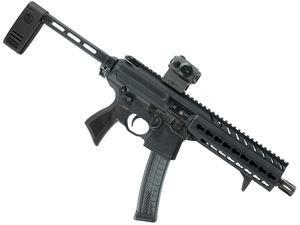 Using familiar AR controls, the MPX responds positively and confidently. Features include a Black Anodize finish, 8" barrel, Key-Mod Handguard, PCB stabilizing Brace and ROMEO5 Red Dot Sight.